It’s a known fact that with rains in India, comes mosquito. And with mosquitos, come the array of diseases including Dengue, Malaria, Chikungunya which spread like wildfire to such an extent that hospitals don’t have empty beds to accommodate patients. Understanding the importance of these almost epidemic diseases, Union Health Minister, Mr J.P Nadda as well as Delhi Health Minister Mr Satyendra Jain, both are issuing directives non-stop to make government hospitals prepare for the monsoon. And following directives, Lady Hardinge Medical College and other associated hospitals in the city have started taking measures, including regular surveillance and setting up dedicated beds for patients, to prevent dengue and other vector-borne diseases. “Patients (at Lady Hardinge and other associated hospitals) are being advised to report to medical OPD or casualty (Emergency). 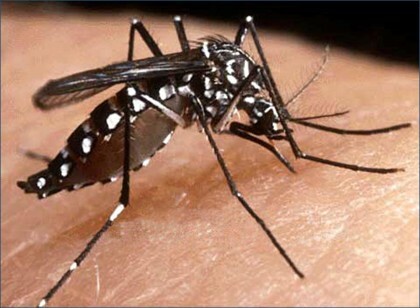 Since the start of this year, the college has received 302 suspected clinical cases of dengue fever, 18 of which have been laboratory confirmed,” a health ministry statement said. “Regular sensitisation of supporting staff for vector surveillance activities in the college and hospital premises is being done,” the statement further said. It said that diagnostic kits are available for diagnosis of dengue while laboratories are functional 24X7 for platelet count and hematocrit reports of dengue patients in the pathology department. Blood components like platelets and others are also available in the LHMC Blood Bank. Dedicated beds and trained manpower are available for management of dengue patients. IV Fluids and other essential medicines are available for dengue management, the statement added. The Centre has asked all the central government-run hospitals in Delhi, including AIIMS, to “buckle up” to tackle an outbreak of dengue during the monsoon season and prepare an action plan within a week to combat the vector-borne disease.